At Stokenchurch we teach music based on the Charanga Musical School scheme. The Charanga Musical School provides teachers with week-by-week lesson support for each year group in the school. It is ideal for specialist and non-specialist teachers and provides lesson plans, assessment, clear progression, and engaging and exciting whiteboard resources to support every lesson. The scheme also contains a substantial Song Centre with nursery rhymes, chants and action songs for younger children, and classical repertoire and well known favourites by Abba, Bon Jovi and Adele for older children. 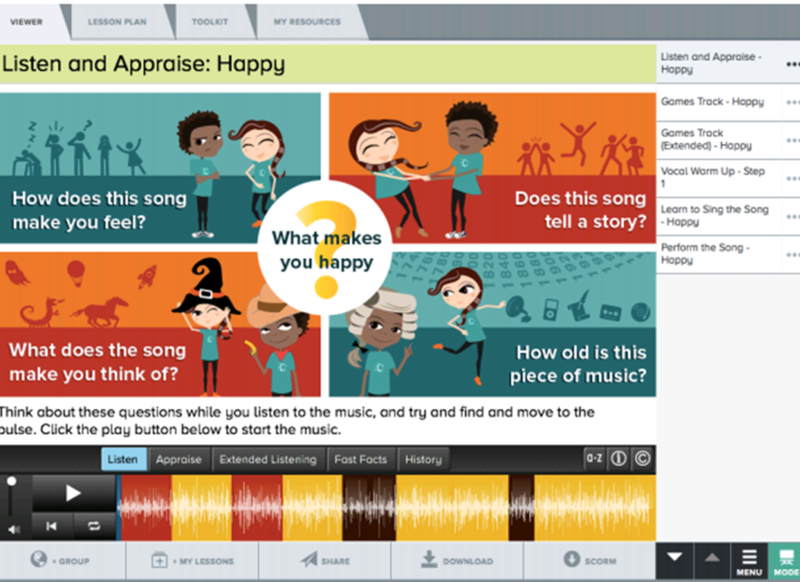 The songs are complemented by progressive interactive resources plus some very useful vocal warm-up activities. The scheme supports all the requirements of the National Curriculum and is absolutely in line with published Ofsted guidance. The learning within this scheme is based on: Listening and Appraising; Musical Activities - creating and exploring; and Singing and Performing.